Liu et al., "PLOS ONE" A figure from a paper that "PLOS ONE" retracted after its mentions of "the Creator" attracted widespread criticism. But did the open-access journal act too hastily? Some now say it should have let the authors, based in China, correct what may have been a clumsy translation. PLOS ONE, the world’s largest scientific journal, on Friday retracted an article exploring the mechanics of the human hand after scientists complained about its reverential references to the body’s design by "the Creator." The article, which had been published on January 5 by a team based in China, was retracted after an investigation by PLOS editors determined it was scientifically unreliable, the open-access publisher said. "On this particular occasion, unfortunately, our prepublication processes failed," PLOS’s executive editor, Veronique Kiermer, said in an interview. "Both our internal quality control and the peer review — I think both failed, and were not up to our standards." Although retractions by scientific journals are increasingly common — now numbering several hundred each year — this particular incident attracted hundreds of largely critical comments across dozens of websites. Some came from PLOS authors and reviewers who threatened to boycott PLOS if it didn’t issue a retraction. Beyond the religious factors, the intensity of reaction reflected PLOS’s size — it published 28,000 articles last year, helped by a 6,000-member editorial board and 76,000 reviewers — as well as continuing concerns about the ability of open-access publishers to maintain editorial quality without subscription revenue. Ms. Kiermer made clear she recognized the stakes for the format; for the journal’s parent company, PLOS (the Public Library of Science); and for its flagship, PLOS ONE, which has quadrupled its annual output, from just under 7,000 published articles, since 2010. "I’m obviously concerned," she said, "because I think it’s very important that we stress that this issue does not reflect negatively on the vast majority of the thousands of authors and academic editors and reviewers who are publishing and evaluating the research that is published in PLOS." The article, "Biomechanical Characteristics of Hand Coordination in Grasping Activities of Daily Living," listed three authors in China — Ming-Jin Liu, Cai-Hua Xiong, and Xiao-Lin Huang of the Huazhong University of Science and Technology — and one in the United States, Le Xiong, a student at Worcester Polytechnic Institute. The authors stated in their abstract that the makeup of the human hand reflects "the proper design by the Creator to perform a multitude of daily tasks in a comfortable way." Other statements in the article included: "Hand coordination should indicate the mystery of the Creator’s invention." Many online critics suggested its authors or editors may have been promoting a creationist ideology known as "intelligent design." Others accused PLOS of overreacting, saying the use of the term "creator" appeared to be a poor translation of a Chinese idiom that would have been better translated as "nature." An informal poll by the website Retraction Watch that received more than 1,000 responses by Sunday showed a plurality, 42 percent, favoring the idea of letting the authors correct their article without a retraction. But 26 percent backed the retraction, while 18 percent urged further investigation. Mr. Han did not respond to requests from The Chronicle for comment, though Retraction Watch said that he told it before the article’s retraction: "I am sorry for this has happened. I am contacting PLOS ONE to see whether we can fix the issue." A spokesman for PLOS, David Knutson, said on Sunday that he could not comment on a report that Mr. Han had been asked to resign from the journal. He added that he did not know of any punitive actions in response to the incident. PLOS ONE also published a comment from Ming-Jin Liu, who apologized, blaming a translation error, and pleaded for a chance to correct rather than retract the paper. Ms. Kiermer said that the article may have suffered from translation problems, but that the retraction had been based on its overall quality. 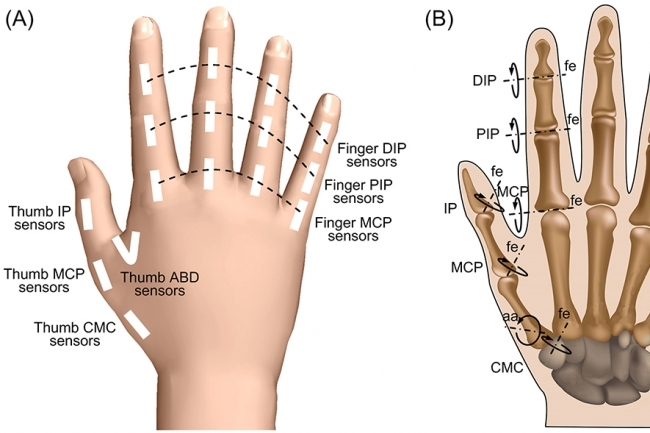 The article contains various detailed measurements of the functions and capabilities of the human hand, and its abstract describes the study as an attempt to better understand how the hand might be modeled in robotics. As part of its mission, PLOS ONE does aim to judge the merit of a prospective article without any attempt to predict its ultimate long-term value to other scientists. But, Ms. Kiermer said, the article in this case left unclear "what the question was, and how the conclusions were drawn from the data that is presented in the paper." The article was submitted in English, Ms. Kiermer said, and any problems with translation should have been corrected before publication. Beyond Mr. Han, she said, the article had two outside reviewers and was approved by "several people internally here." She declined to identify them, though she said PLOS would consider asking them to do so voluntarily. PLOS also might consider taking another look at any past articles by the four authors, Ms. Kiermer said. And over all, she said, the publisher plans a "deep dive" into the article’s approval process to see what it can learn from the incident. And separate from the retraction, Ms. Kiermer said, PLOS already was considering introducing a policy of making public, in most cases, the text of its article reviews. "Our ambition would be to make the peer review as open as possible," she said. The heavy condemnation of PLOS for publishing the article "seemed overwrought," given that all journals make mistakes, said Ivan Oransky, a co-founder of Retraction Watch. Even Elsevier, a leading publisher of subscription-based journals, has had papers that were "clearly intelligent design-driven," Mr. Oransky said. And now PLOS may have compounded the error by rushing into a retraction without giving a clear explanation of its reasoning, Mr. Oransky said. "Responsiveness is great — you want journals and publishers who are responsive," he said. "Knee-jerk isn’t."